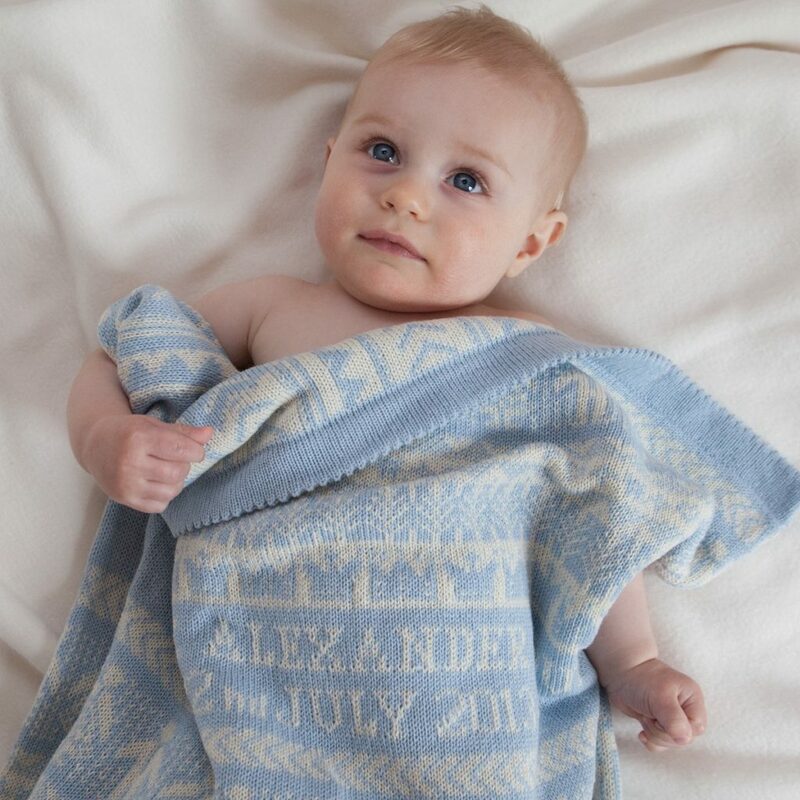 Charlotte’s personalised cashmere baby blankets make a very special gift to celebrate the arrival of a new baby. 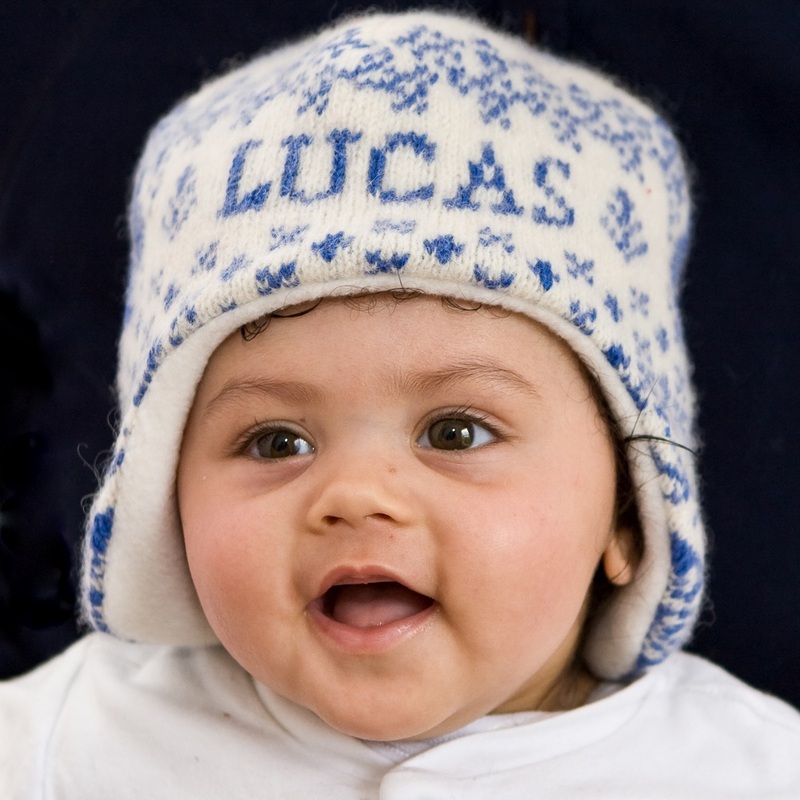 The blankets are both unique and useful, sure to be loved by baby and treasured forever. 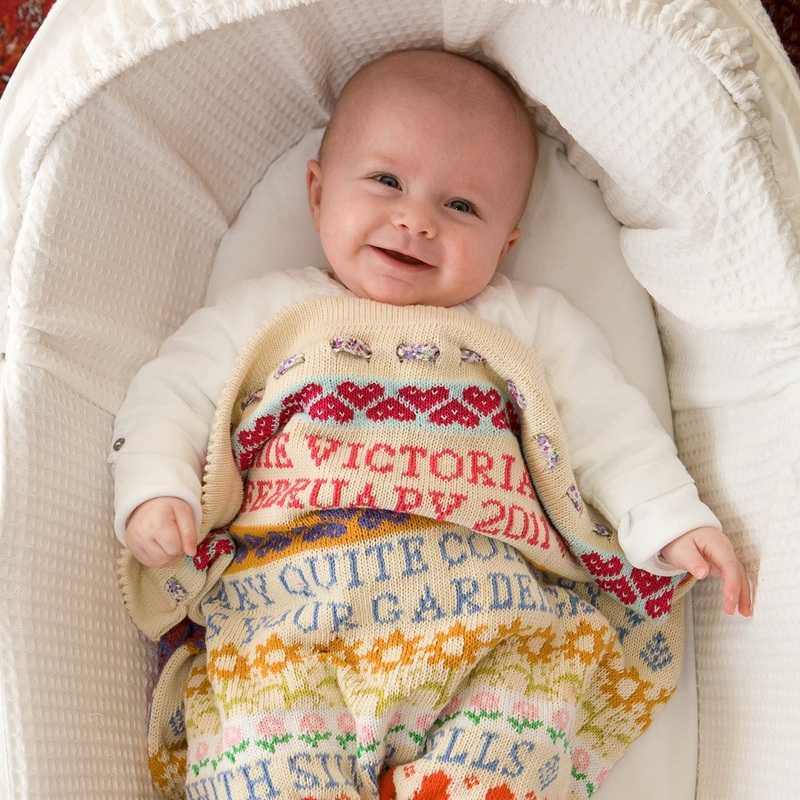 Each cashmere baby blanket is individually made to order, and personalised with baby’s name and date of birth. 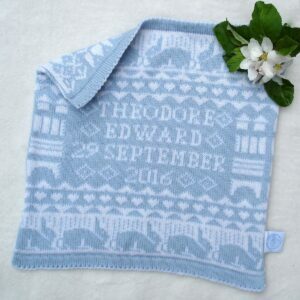 Also available are personalised cashmere baby comforters. 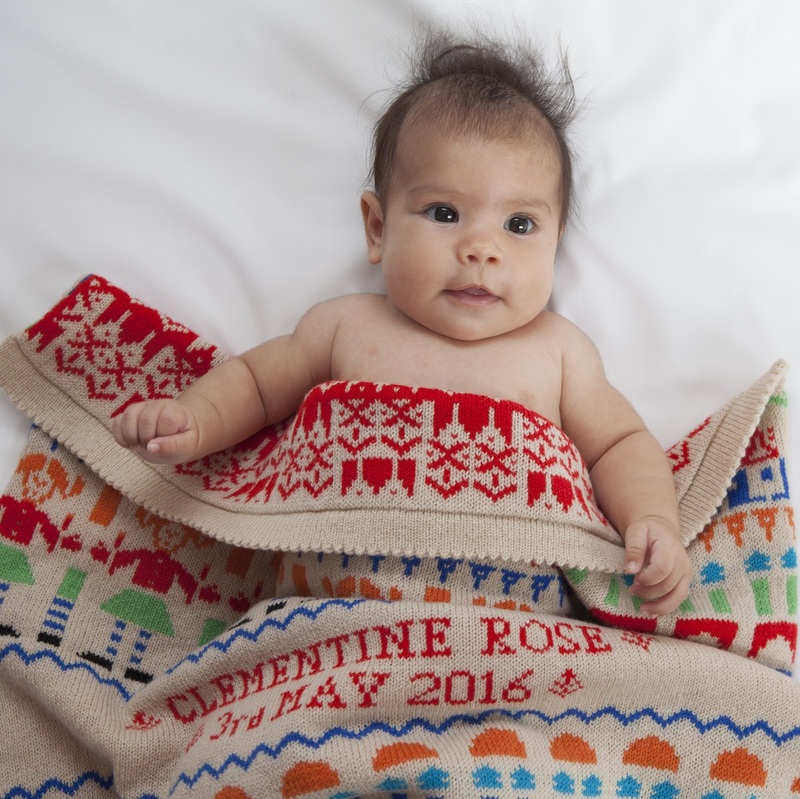 The cashmere is soft and luxurious, making for a baby blanket that is lightweight yet plump and warm. 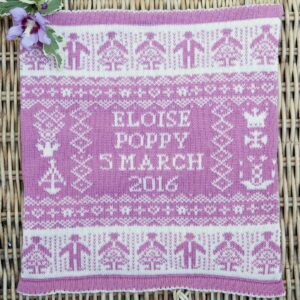 Your personalised cashmere baby blanket will arrive beautifully wrapped in a presentation box. 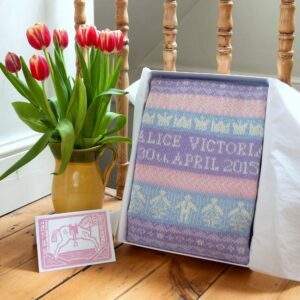 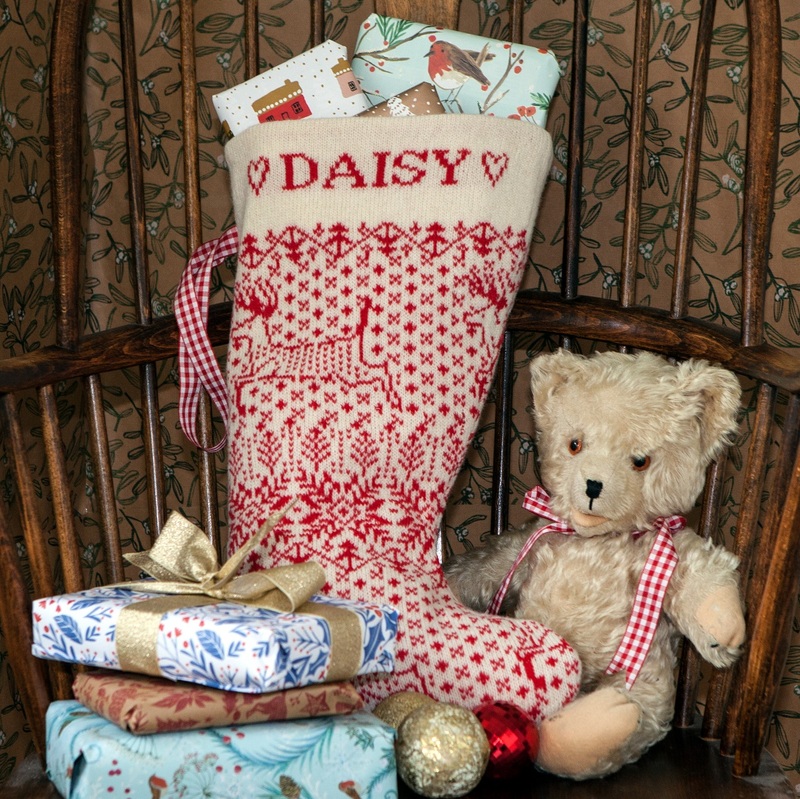 We can include a card with a message from you and send directly to the recipients if required.